Allie and Noah, the all-time romantic couple from the fairytale romantic novel, ‘The Notebook’ by Nicholas Sparks, adapted into a motion picture come to my mind as I wonder how to start this blog. It reminds me of a beautiful scene from the movie, an old man now, Noah, reading out a story to Allie, while she listens to the story totally amazed and completely unaware that the story is, in fact, hers. As the story comes to an end we see how it all starts coming back to her. That it was her Noah narrating their story as he had promised before her disease set in. The disease was Alzheimer’s. 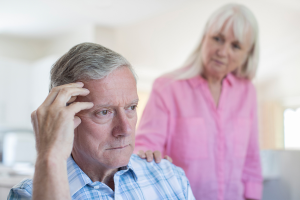 Alzheimer’s is a progressive neurologic disorder which results in memory loss, personality changes, global cognitive dysfunction and functional impairments. It is the leading cause of dementia in the elderly. The disease begins at a slower rate initially; it captures the brain and slowly overcomes human thoughts, activities, and language as well. People start having trouble in remembering things and the one evident sign is forgetting names of people. Progressive memory loss and decline of higher mental functions. Example: problem-solving small issues, confusion in time, date and month, the problem faced in doing family activities of daily routine, misplacing things, poor judgment and problem in speaking and writing as well. Difficulty in naming and understanding what others are speaking. Apraxia – inability to carry out skilled motor activities, inability to recognize objects/places/people. Behavioral changes: agitation, aggression, wandering and persecutory delusions, loss of insight, depression. Loss of inhibition leading to inappropriate social behavior. In advanced stages a person may be mute, inactive and can succumb to different infections. Inability to recognize color and visual picture. In case there is an underlying cause additional clinical features may be present. Mainly supportive – physical, mental and moral support from family members and caregivers. 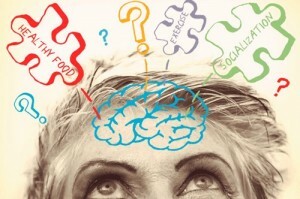 Antioxidants (Vitamin E) can slow the decline of cognitive function. Drugs like anticholinesterase inhibitors (like donepezil, rivastigmine, galantamine), memantine, N-methyl-D aspartate (NMDA) receptor antagonist. Ginkgo biloba, a plant extract has been shown to be useful. Treatment of the underlying cause, if any. According to the principles of Ayurveda, Alzheimer’s is caused as a result of the imbalance in vata – this imbalance is quite common as a person begins to grow in age. It affects the vata – in the tissues of the central nervous system of the body – mainly the brain which then slowly becomes imbalanced. Treatment begins with a vata balancing diet. Withaniasomnifera (Ashwagandha) in the powdered form along with either ghee or milk is included in the patient’s daily diet. This helps charge and soothe the vata. Herbs such as Brahmi and Ashwagandha that serve as nerve tonics are mainly used. An oil massage daily, prior to a bath is also considered significant in this form of treatment. 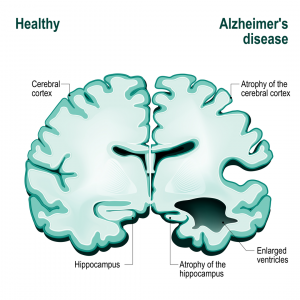 Ayurveda specialized preparations for Alzheimer’s treatment that are made from rice have proved highly beneficial to the patients besides providing the required nutrients to the old age person. Turmeric orHaldi as it’s known in Hindi is a part of almost every Indian recipe. It is known all over the world for its antibacterial, anti-inflammatory, antitumor, anti-spasmodic, anti-allergic properties and hence is used in medicines, cosmetics etc. Curcumin that is found in turmeric has radical scavenging properties thereby preventing damage that can be caused by the cells of our body by free radicals. Alzheimer’s alleviation could be based upon the ability of curcumin to combat the development of amyloid plaque (accumulation of protein) in the brain leading to inflammation and impairment of cells. There’s no real guarantee when it comes to preventing Alzheimer’s, but the only way to minimize your chances is by living a healthy and balanced lifestyle. Make sure you don’t stop learning new things. Continuous learning like a musical instrument, a new language or any subject that you didn’t have knowledge about keeps the memory intact. Forget your phone and start memorizing important numbers like bank accounts, mobile numbers, life insurance/investment policy numbers, credit and debit card numbers, passwords and recalling them when needed is an easy way of jogging your memory. Consumption of antioxidants via diet/supplements is helpful in preserving memory function. use of massage oil at home keeps your body in shape and massage chair at home means having your personal massage chair and you will relax your body and mind both at your home.